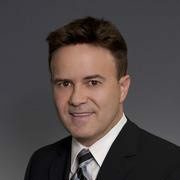 Marc Bellerive has worked in the financial services and investment industry since 1994. Marc provides comprehensive investment management solutions and financial planning services to high-net worth individuals, families, corporations and trusts. Focused on only a limited number of clients, Marc is able to develop genuine personal relationships with each of them. Those relationships, in turn, provide him with the in-depth understanding of his clients' needs, as well as the level of trust required to actively manage their portfolios. He is supported by tax and estate planning specialists, insurance professionals as well as private banking and trust services, Marc can bring together a team to meet all of your needs. Marc is an investment advisor and has acquired the designations of Certified Financial Planner (CFP), Canadian Investment Manager (CIM) and was awarded the distinction of Fellow of the Canadian Securities Institute (FCSI). Outside of his professional pursuits Marc enjoys cycling, skiing, golfing, travelling, and enjoying life with his fiancée. Debbie has been with TD since 2009, celebrating almost 10 years in the industry. Her many years of experience are a valued asset to Marc's team and she strives to provide above and beyond customer service for their clients. Like Marc, Debbie values creating long-lasting, genuine relationships with all their clients. Outside of work, Debbie values her time spent with her family and trips to sunny, tropical destinations.